NASA's new Time Trial rules impose a penalty on cars with upper a-arms of wishbones. As an example they list Miata's, S2000s and Boxsters however I don't believe Boxster's fit into this category. What do you guys think? Whats the best way to approach this argument? The penalty for a-arms is huge, almost twice as much as aero. My college professor wouldn't be proud but I'm going to bring Wikipedia in as a reference. Wikipedia defines a-arm suspension as a design that uses a top and bottom arms to control the position of the wheel. Boxsters on the other hand rely on the shock assembly to control the location of the wheel. I think this is the key difference. 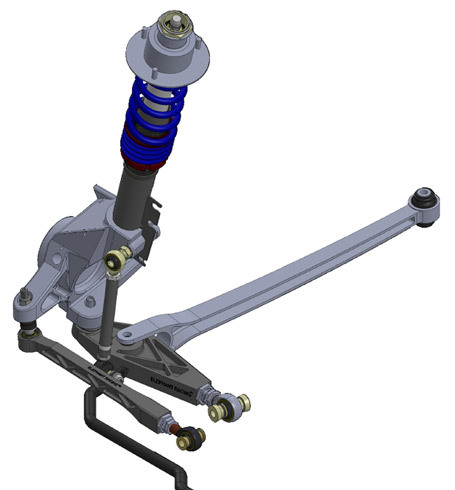 "An automobiles, a double wishbone suspension is an independent suspension design using two (occasionally parallel) wishbone-shaped arms to locate the wheel. 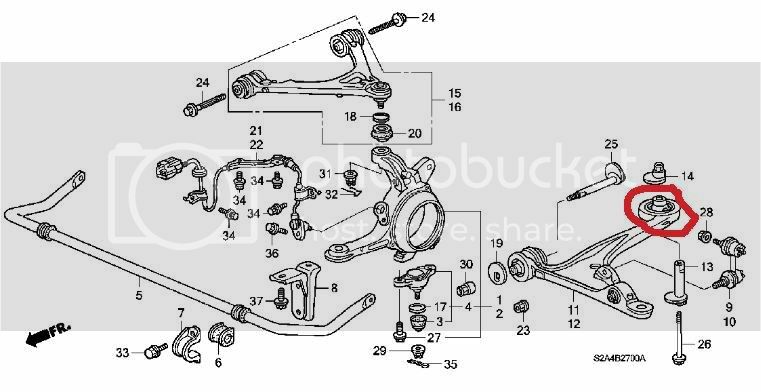 Each wishbone or arm has two mounting points to the chassis and one joint at the knuckle. The shock absorber and coil spring mount to the wishbones to control vertical movement. 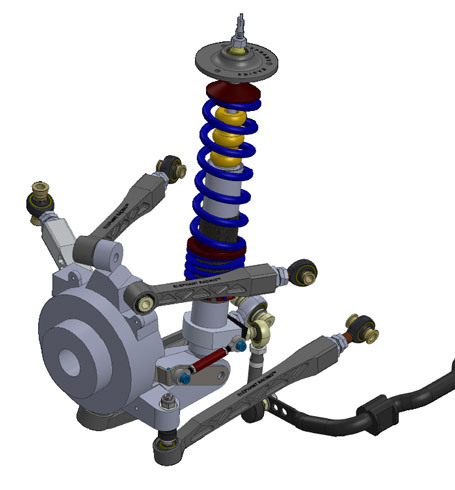 Double wishbone designs allow the engineer to carefully control the motion of the wheel throughout suspension travel, controlling such parameters as camber angle, caster angle, toe pattern, roll center height, scrub radius, scuff and more." I agree, the Boxster is misclassified. The Boxster is (somewhat embarrassingly) a pure strut design. I gave up with all the hp penalties, etc. A 2.5 doesn't really have a home in our NASA region unless you have a weak field in GTS2. One thing is sure, no one seems to be happy with the rules (e36 M3 guys too). Somebody is overthinking suspension during NASA rules making process. 99% of this game is wt/hp, wt/grip, and setup. Everything else is window dressing. I’m glad it’s not my job, rules can’t be an easy thing but it does seem they made it harder than it had to be. I am thankful I won’t need to take that 4 wheel drive penalty, which at this class power level is doing very very little. What are the M3 people upset about? Mostly it pertains to having run a rather noncompetitive TT4 car last year then having to ditch aero, add weight or detune to fit into TT5 or pony up the $$$ to be competitive in TT4. The new tire width rules are not cheering anybody up either. I'm just glad my M3 fits into ST3/TT3 with its much simpler rule set. For the Boxster I'm still undecided what to do.